Anand’s first published collection of poems is dedicated to the muses of Charles Bukowski and Sylvia Plath. 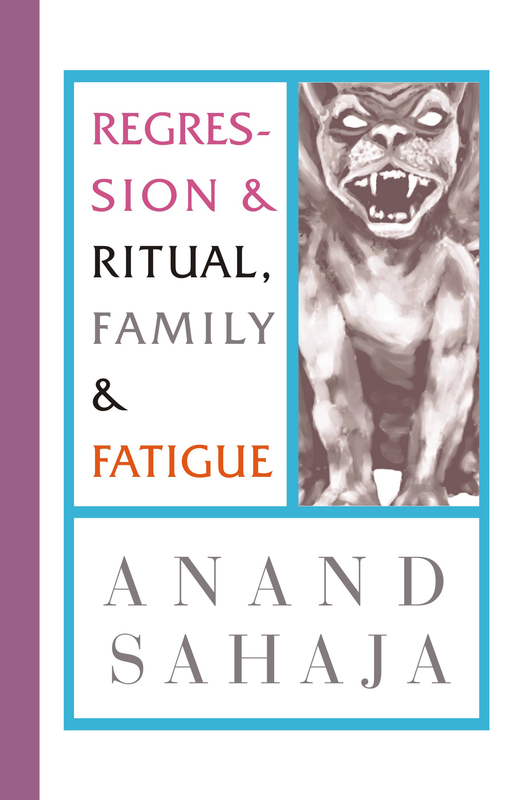 In Ritual & Regression, Family & Fatigue, she responds to the tough subjects of family alcoholism and abuse. It is touching, lyrical, explosive, taboo and often incredibly raw. “Daddy,” “Mrs. Gryson,” and “to begin with” are all certainly worthy of the Plath dedication. This is the type of poetry that is usually published posthumously. In addition, some sweet recollections included, such as “Bright River” and “abu” detail out-of-body, out-of-time encounters with other lifetimes. The cover is an homage to Bukowski’s first edition cover of Love is a Dog from Hell. Inside, each poem is accompanied by a unique hand-drawn piece of artwork by anand herself, and also by a talented illustrator from Croatia, Bernarda Saldo. In addition, work by artists from around the world (United States, Bosnia and Herzegovina, Ukraine, India and Russia) were included. Many of the images are worthy of framing. From the author, “Gentle reader, this is a reminder to you or anyone who has ever been raised in a dysfunctional family (anyone out there?) that you are not alone. Nor have you ever been alone. We live on a shadowed planet full of mystery and lessons to learn. You can rise above it and reach heaven by expressing feelings in positive creative ways. This work expands beyond my normal life experience, whether from lucid dreams, momentary illusions, or transcendental and fragmentary hypnotic moments.